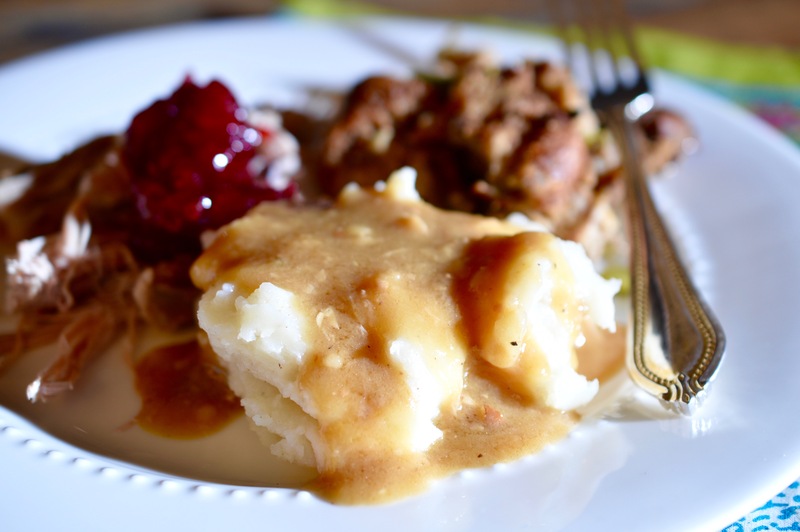 I have been asked by multiple readers if I could show them how to make turkey gravy… without a packet. The concept seems so easy to me that I never thought to post it! 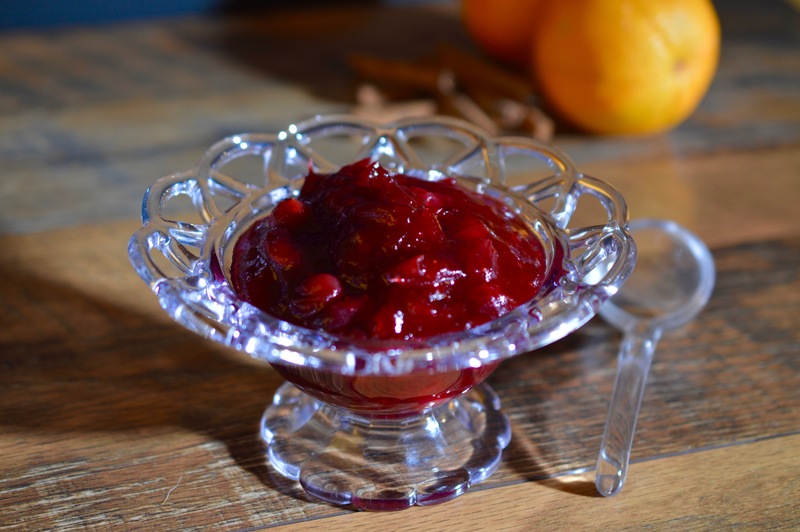 Since it’s easy peasy, I decided to add another ultra simple Thanksgiving staple, cranberry sauce! Or, as my youngest son refers to it, “The Sauce”. Let’s get started. 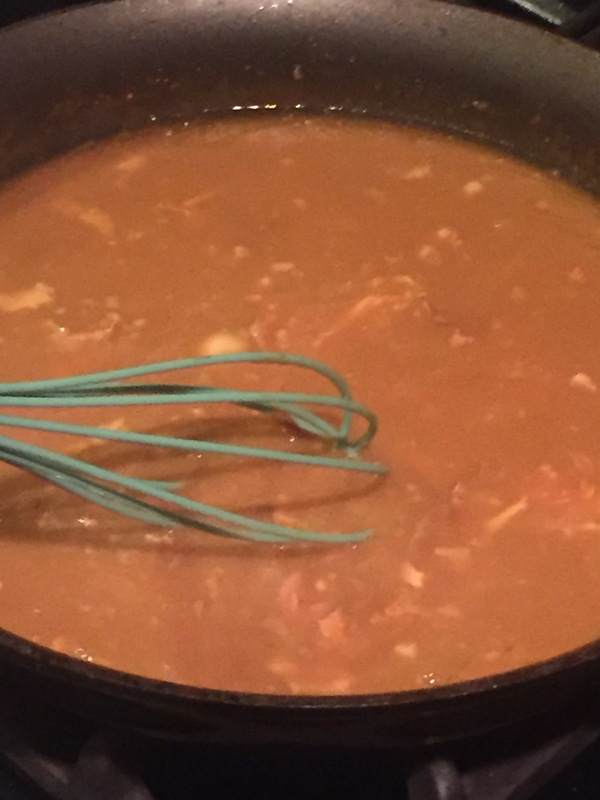 When it comes to turkey gravy, the drippings are key. If you are not making the turkey, you will want to make it on site if it means you’ll get the drippings! 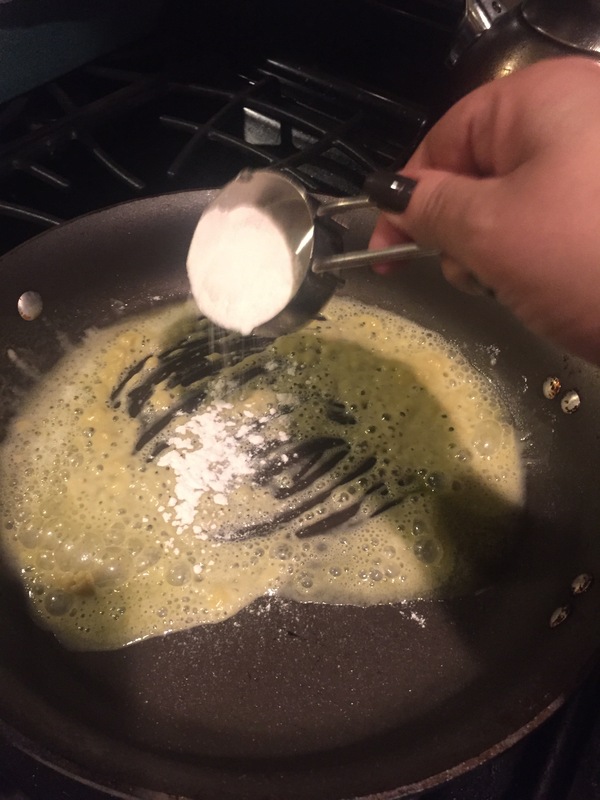 In a large skillet, melt 1 stick of butter. Add flour to make a basic roux. Start with 1/4 cup and add as needed. You want the butter and flour to cook into a golden color that is the consistency of paste. Add the turkey drippings and bring to a boil. This mixture will begin to thicken quickly. 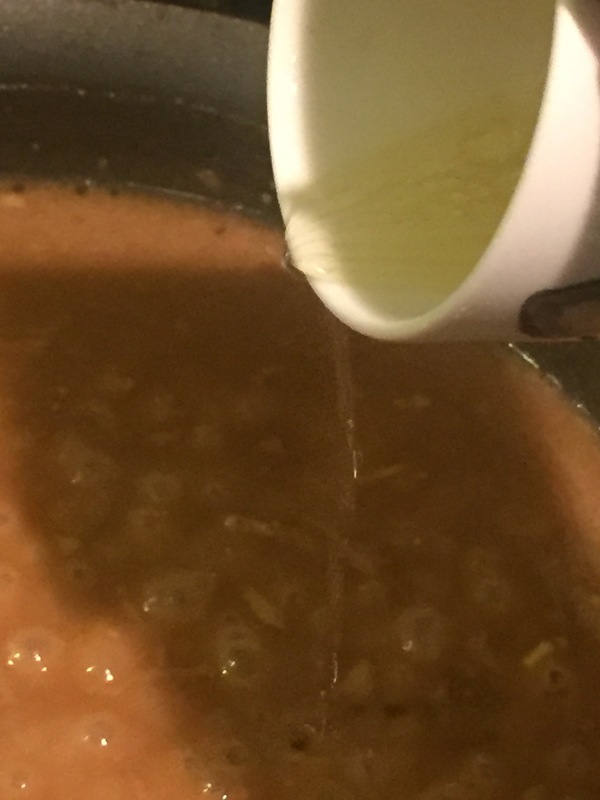 Add stock a little at a time until you’ve reached your desired consistency. S&P to taste. Serve immediately. In a large Sauce pan, add a 12oz. 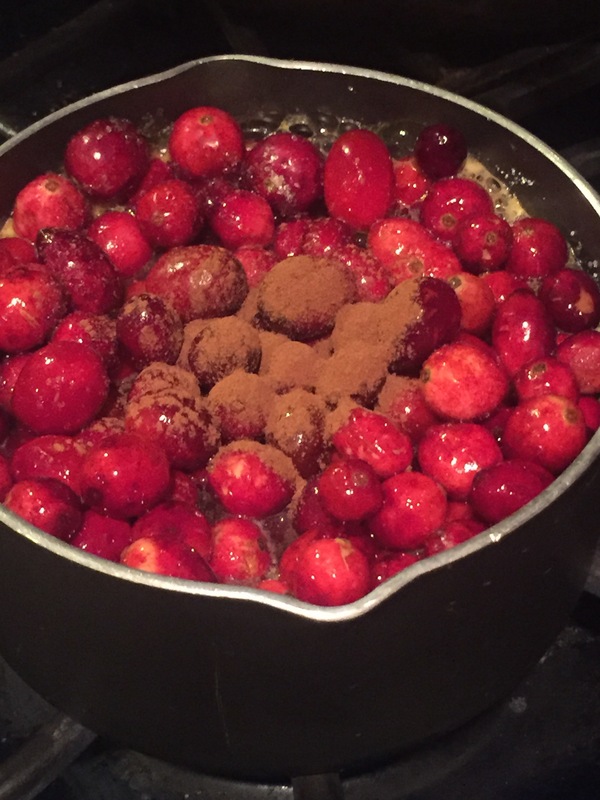 bag of fresh cranberries, 1 cup of sugar, 1/2 cup of water, 1/2 cup of orange juice and 1 tsp ground cinnamon. Bring to a boil. 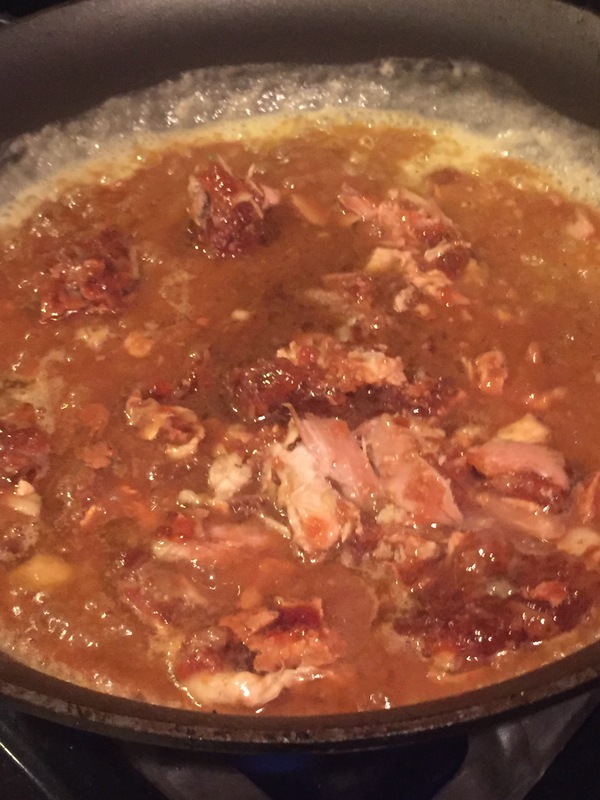 Reduce heat to a simmer and cook the sauce down to thickened.